Tuesday is going to be a pretty big day for Destiny players as the Leviathan Raid will be getting a hard mode and the first Iron Banner week is happening. Next week Tuesday is going to be a pretty big day for Destiny players as the Leviathan Raid will be getting a hard mode and the first Iron Banner week is happening. Bungie has already told people that the raid on hard mode may not be possible to beat. We’ll get to talking about Xur in just a second, but the new raid info is also pretty important. Considering the raid is difficult already, Bungie is looking for people to know the ins and outs of the raid. At the end of it all, players will receive rewards that’ll make them look nicer overall, but not really raise their power levels. We’re running a bit behind this week so at this point, I’m sure you’ve maybe been able to find Xur on your own, but in case you still haven’t checked yet you can find Xur near the Winding Cove over at the EDZ. Fast travel over to the Winding cove and head north where you’ll find Xur up on some rocks. If you are having trouble finding him, track him in the directory before or after dropping in the EDZ. The exotics Xur has this week are helmets for each class and a pulse rifle. Each class is getting a well-rounded helmet that’ll help you out depending on your needs, like the Nezarec’s Skin for the Warlock if you like using the voidwalker subclass and void weapons. Vigilance Wing pulse rifle is a must get for those who enjoy using pulse rifles and it’ll be a good fit for Crucible goers. As always, these exotic items have a power level of 270 (base 265 with +5 mod) so for those with a lower power level than most, this should help you out. 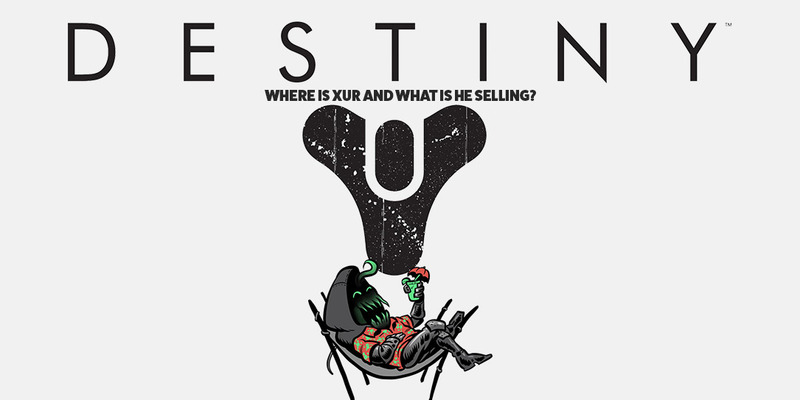 So, do you guys plan on getting anything from Xur? You’ll have until Tuesday to pick up some stuff this time. Let us know what you grab by leaving your comments down below, or on Google+, Twitter, or Facebook.